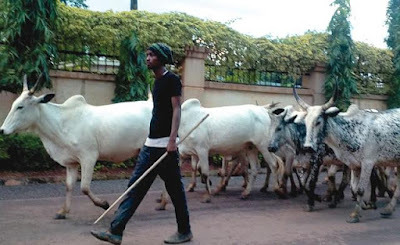 Coordinator of the Benue State Myetti Allah Cattle Breeders Association of Nigeria (MACBAN), the association of herdsmen, Gololo Garus, says the reason for last Friday’s attack by the herdsmen on residents of Agwabi village in Binev Council Ward of Buruku local government area of the state, was because the youth in the area stole 800 cattle from the herdsmen a day before the attack happened. According to Tribune, Gololo said that information passed to him by the herdsmen claimed that trouble started when youth from the affected village on Thursday, May 12th, took away 800 cows belonging to the resident herders. “The herders traced the missing cows the following day to that village and that was how trouble started. This is highly regrettable because they should have notified the security apparatus already put in place by the state government who could have handled the matter. They didn’t report the matter even to us (MACBAN). It is painful that while the state government is doing everything to resolve the crisis, some others are taking the law into their hands. But, those found wanting in this matter would surely be handed over to the security agencies,” he said. Over 12 people died during the attack.